Home > Welcome To Our Newly Updated Website! 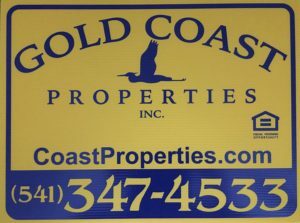 If you’ve been following our longtime website www.CoastProperties.com you’ll notice that we’ve updated our website to make it very easy to navigate with no strings attached and search for Bandon Real Estate as well as other cities in the southern Oregon real estate market. We now offer site visitors the option to sign up for New Listing Notifications and a new advanced property search. If you are in the hunt for a home or property, please register for New Listing Notifications and new listings will be sent to you as soon as they are entered into the Regional Multiple Listing Service from all agents and offices in the city you choose to get the updates from. We respect everyone’s privacy so we do not share your email address with anyone. Please contact anyone of our experienced brokers for the best service if you are looking to buy or sell. We are here to work for you! We are open to any feedback you may have as a user or if there’s a glitch please let us know!